The game is still visually impressive, especially the environments. Actually, Gears of War 2 in its entirety feels more epic and refined than its predecessor. Off the bat, the story immediately begins toppling the firefights from the original – and it only continues to ascend from there. You'll witness sinking cities, giant worms, emotional reunions, and much more; that 'much more' also includes some much needed character development, even if it was only a little. I also loved that these epic moments didn't take control away from the gamer or force quick-time-events onto the audience – it feels organic this way. Aside from the cutscenes, the story progresses without interference. And, the improvements aren't only from a narrative perspective. Gears of War 2 paints a portrait of chaos through a strong plot and excellent visuals. The gameplay adds plenty of variety to keep the plot refreshing. Instead of simple corridor shooting, you'll find yourself in larger environments with more weapons and skills, like using meatshields, executing stragglers with more options, or finally being revived by a neighboring teammate. Speaking of being revived, the ally AI seems to have improved, too – I didn't catch Dom running around in a circle in a different room like I did last time. Aside from shooting, you'll also find more vehicular combat, including riding a Reaver! 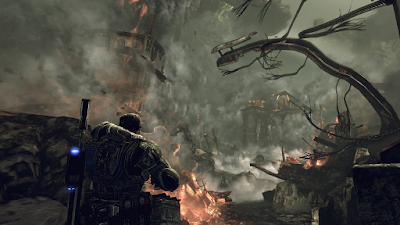 Gears of War 2 took everything I loved from the original and made it better. There are a few moments were the plot feels a bit thin and a little unnatural, but the universe is still rich and the improvements are more than welcomed. The game is brimming with epic moments. The original voice cast returns with strong performances. John DiMaggio is splendid as Marcus Fenix. Carlos Ferro, who plays Dom, was a bit stiff at times, but not necessarily bad. Lester Speight, who plays Cole, is as energetic as ever. Playing this directly after Gears of War: Ultimate Edition, I was impressed by the graphics. It's obviously not as crisp as the recent remake, but it is still a beautiful game. 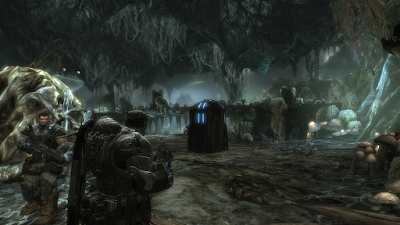 The environments, although often dark and gritty, really stood out. Although the enemy designs were great, I did feel some of the characters were a bit too blocky and the facial expressions could use some work. Other than that, the game looks amazing. The soundtrack was also excellent – I'm listening to "With Sympathy" while writing this review. The final 'boss' is underwhelming, but the rest of the final act is a huge improvement over the previous installment. 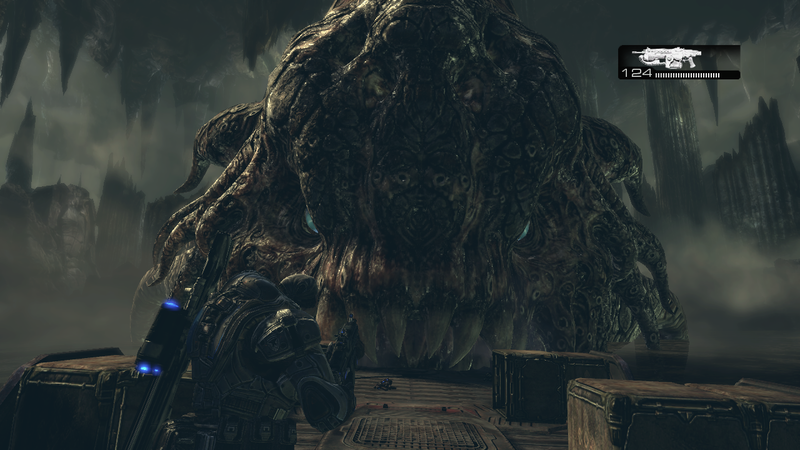 Overall, Gears of War 2 is a fantastic game. It is a large step up from the original, which was a great game to begin with. 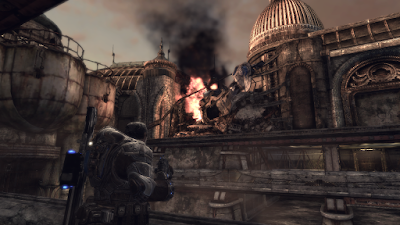 From the new gameplay mechanics to the more in-depth story, Gears of War 2 simply excels beyond most third-person shooters – even today. There are a few issues here and there, like some peculiar plot development and the mediocre character models, but it is otherwise a superb installment and a must-play game. Don't miss it.